From a software development perspective, we are completely focused on the Virtual Claims Adjuster platform and its continued growth in the industry. The Virtual Claims Adjuster platform has proven itself to be a valuable asset within the insurance industry. Its success as a highly effective insurance software package has also made it quite popular in other verticals. The platform is stable and reliable, and provides its users with instant remote access to all claim and business data at a reasonable cost. 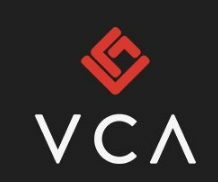 Our entry point, and most cost conscious offering, is the VCA shared environment. This environment allows companies of all sizes to gain access to the Virtual Claims Adjuster claim management platform as well as a complete suite of business management tools. The shared environment offers a flexible and configurable environment however larger enterprise clients who have highly specialized needs and processes can opt for one of our additional offerings. At these levels our team is capable of building custom tools, applications, and features that sit on top of the VCA framework. Integration points between VCA and your other back office systems, as well as direct EDI interfaces to your clients systems. Our team of highly skilled software developers and business analysts work with you to develop customized solutions and add-ons to further suit your needs.